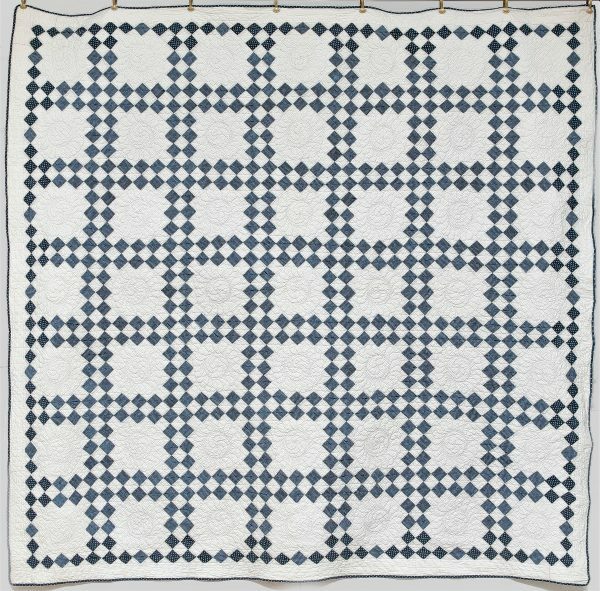 Stunning extra large c. 1880s indigo and white Double Irish Chain quilt. An excellent example of this classic design. 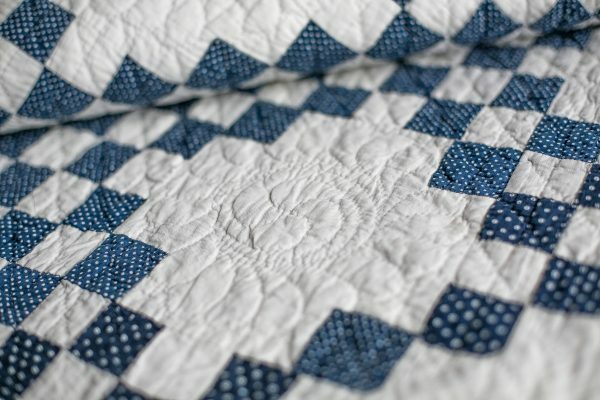 Excellently hand pieced, hand quilted and hand bound. Even and precise quilting featuring feathered wreath and straight line quilting patterns. 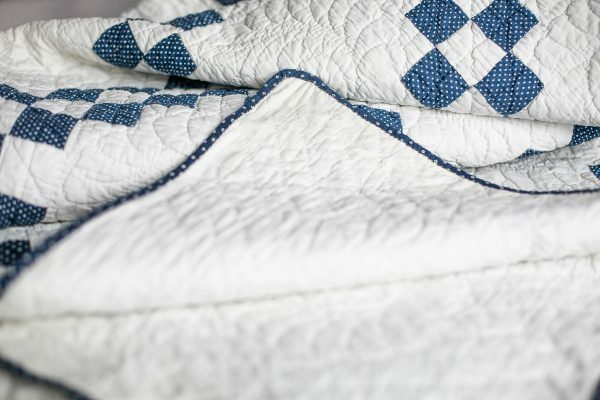 Stunning extra large indigo and white Double Irish Chain quilt. 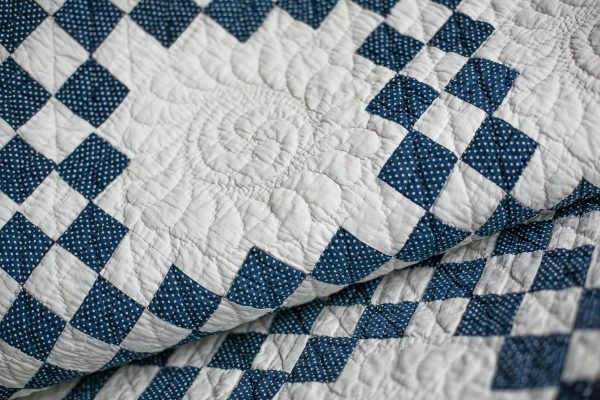 Excellently and pieced and hand quilted. Indigo fabric typical of the era, featuring two minute scale dot prints. 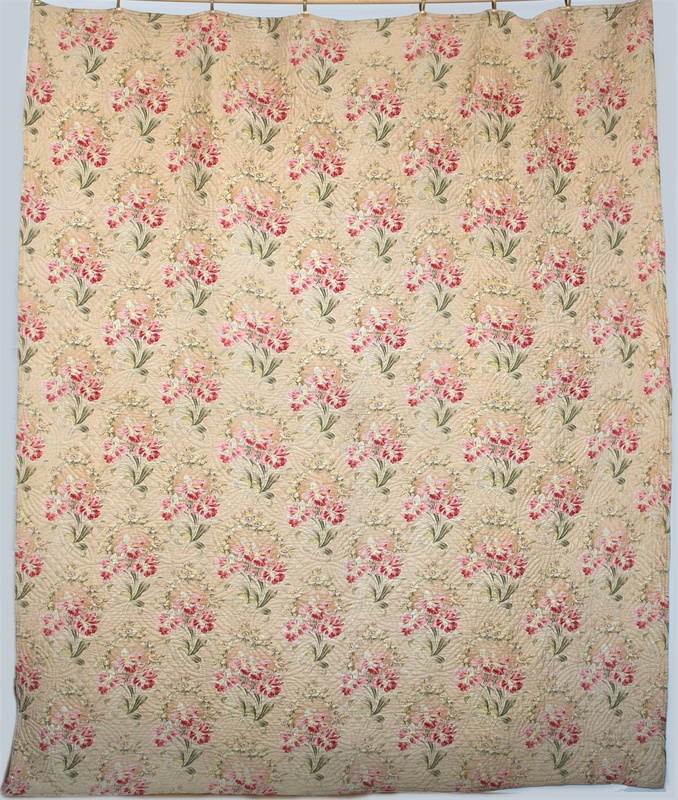 Cotton wadding. 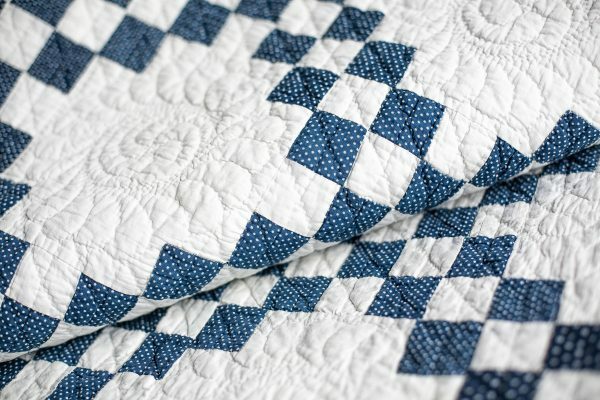 Maker’s name, “Sarah A. Shin,” stamped very discretely onto the front of the quilt. A couple of faint lines visible on the border cotton. 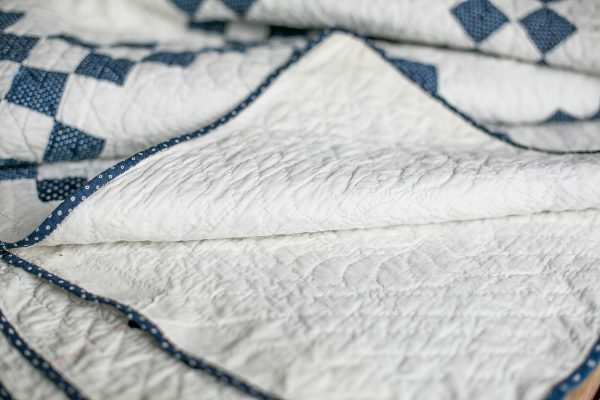 Sturdy quilt of good weight in excellent condition. Approx. 76 x 78 inches/ 198 x 193 cm.